The path to Alcock Tarn is found some 70 yards up the road on the left, signposted "Public footpath to Alcock Tarn" and "no through road for motor vehicles after ½ mile". 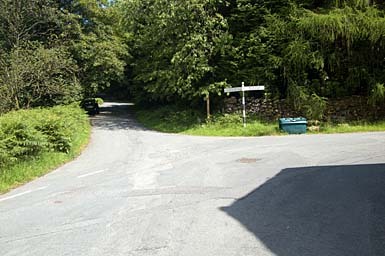 The road to the right leads to White Moss. Larger version of this picture.